This years street art installation looks to be something different from the usual, with an idea from WATM that identifies an important and missed element to the street culture of this region. For those growing up in the UAE and the region The Baqala has been a staple part of their roots, as 90s youth being exposed to hip hop, skate, street wear and Jordan’s for the first time. The Baqala walls were the canvas for many a first tag, a refuge from the heat - for a drink stop after playing ball on the neighboring courts or on a skate route. Over the last couple years the emergence of both local and international brands have used the Baqala in their back drops, it has subconsciously become part of our street cultures visual language, the organized chaos of it all, jam-packed with stuff much like our sneaker closets, vibrant colors and obscure objects. The Baqala also hosted a lot of the unique characters, some how we all merged well in this environment hoodies, snapbacks, kurtha’s, kandoorahs and at least 4 different languages being spoken at 1 time, you learnt to be comfortable being different in there. This celebration of alternative street culture is synonymous with what Sole DXB stands for. “There is something special about opportunities that come to me from Dubai, I always give them my all. It's that first home away from homecoming feeling. This was also, something I could experience for the first time. This is why I approached this project by picking iconography and lessons from my past. Growing up in Abu Dhabi, between 95-'00. Whenever the school bell would ring, my best friends and I would walk over to the Baqala and hang, sip Juice, get some mana'eesh, and just parlay about nothing. I distinctly recall a Biggie soundtrack, or a Wu record, coming out of one of our headphones. There was something about the corner store. Here I am, 15 years later reliving my childhood through BAQALA - A collaborative project with Sole DXB and my crew We Are The Medium. 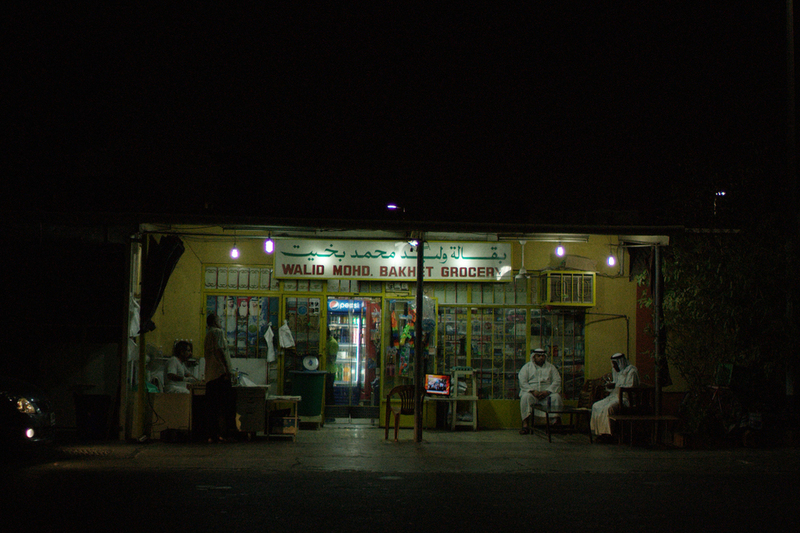 With the fast paced modernization of the city, many of the slanted, beat up and welcoming baqalas have been converted to cleaner, more 7/11 cut under-the-building fluorescent-lit stores. That corner store vibe is gone. With our presence at SOLE, we wanted to present an exclusive store that serves both as homage to our old hang outs, and a new chapter in our collaboration. We have works by Khalid Al-Baih, Karim Jabbari, El Seed, Sundus Abdul Hadi and myself. The WATM crew will be present sonically with my partner-in-music-crime Sandhill, Jabbari is making some exclusive light fixtures for sale. Our clothing will be super limited and only present here. The medium crew has also reached out to young Arab designers worldwide and collaborated with them on unique, one-of-a-kind pieces. I introduce to you my friends Mo ElGawly, Ibrahim Mimou, Ahmed Odeh, and many more. Mo is doing an exclusive CXX x eL Seed Football jersey. Ibrahim is bringing one of my dreams to life; The 3abaya Kimono. Ahmed heads a clothing brand called FRDMco. 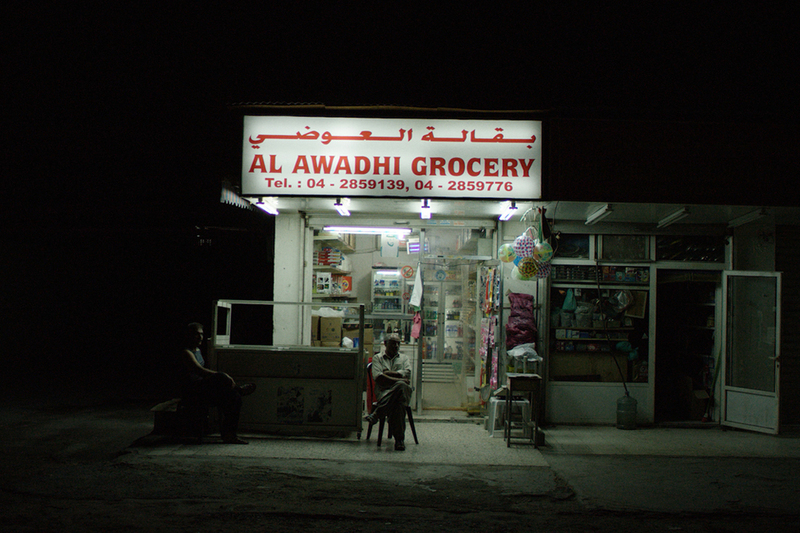 These are all young Arab creatives, doing their thing. And this is a platform, where I get to share with you those that inspire me and are up next. And trust me, they are. Sole DXB collaborates with Pepsi to create a limited edition retro soccer jersey. The Piece commemorates the old school football club jerseys that were often worn by the Baqala storekeepers and kids from the neighbourhood. A long sleeve retro Pepsi inspired color way with Arabic insignia, Limited to run of 100 jerseys will be exclusively available BAQALA visitors with the chance to get the jersey personalised at Sole DXB 2015. We, Free, World War, Savior's Complex, SchoolYard, Inner Mission, Epiphany, Tourist, Nothing, Love Me (Hate Me), Hey!, Makoo, Sun, It's overture. Rise.